This is my favorite time of the year as the days are getting longer and it is getting warmer outside. Personally, my family and I are preparing for our new addition this May. We are really looking forward to it as parents and brother. Professionally, the team is making what seems like to be an annual playoff push. Every game is important as we try to climb the standings for a chance at making the playoffs. What I also like about this time of year is that all of the information on all of the strength and conditioning, physical therapy, fitness, and coaching seminar information is being published. There are many to choose from all across the country. For myself, I am going to be going to at least 2 as an attendant and 1 as a speaker. Maybe I will see you at one of them? As a speaker, I will be at the Roger Neilson Coaches Clinic. This is will be held June 10th through June 12th in Windsor, Ontario. I am truly honored and humbled to be speaking at this event. If you look at the list of the past speakers who have spoken at it, you can see why. My topic is on In-Season Strength and Conditioning for Hockey. With the fact that I am with our players for a good 8-10 months out of the calendar year, this phase of training is very important for injury prevention and performance enhancement. As an attendee, I will be attending Kevin Wilk’s Recent Advances in the Treatment of the Shoulder and the Knee July 15th through July 17th in San Diego. This is a seminar that I really wanted to get to last summer. Now, it looks like the dates and the location of the course line up perfectly. I really think we can learn from smart physical therapists. Shoulders and Knees are definitely areas that we want to reduce the chances of injury with our players. The Perform Better Functional Training Summit returns to Long Beach August 26th through 28th. This is one seminar that I really haven’t missed in a long time. With the number of quality presenters to choose from, this is a can’t-miss. I am really looking forward to seeing people such as Dan John, Gray Cook, Mike Boyle, Todd Wright, and Vern Gambetta speak. Along with going to seminars, it is important to go and visit other coaches who are doing things better than you in some areas. 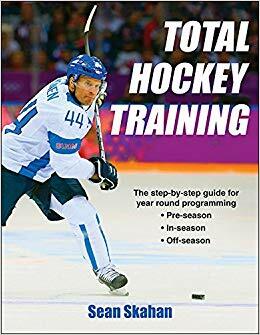 With the NHL scouting combine being June 3rd and 4th in Toronto, I will try to visit with some people in the Toronto area who will be in off-season training mode with the players that they train.